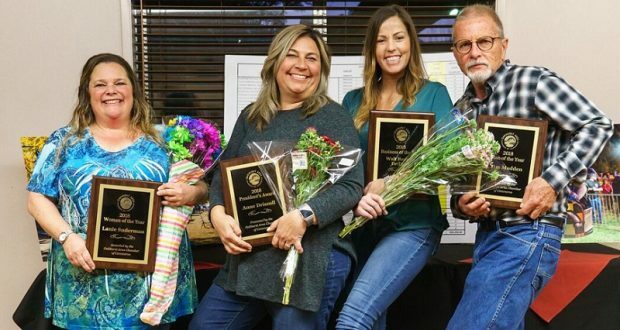 OAKHURST — The Oakhurst Area Chamber of Commerce recently honored local business and individuals for their service to the community, and welcomed some new members to the board of directors. The upbeat event was held this month at the Oakhurst Community Center in celebration of the undeniable connection between commerce, charitable work and service for the greater good. “Each year we receive great recommendations for these awards,” says Melanie Barker, now past-president of the organization. District 5 Supervisor Tom Wheeler was on hand to help give out the awards on what was apparently a very fun and memorable night. 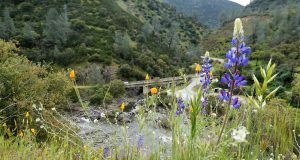 Steve Montalto of Visit Yosemite Madera County was kind enough to furnish pictures as proof of that theory. The honors are given based on demanding criteria: the award for business of the year is given for outstanding contribution to the Chamber and participation in its activities, local events and organizations, while enhancing the community image. The business is respected by the community and its employees, and helps to improve the economy. It’s giving of its business assets to the Chamber and the community — including business capital, inventory, business expertise, and time from employees, in addition to the time and participation of the owner or manager of the business. Walt Bannon Drilling exemplifies the model with an undying commitment to the foundations of community, including schools and families. 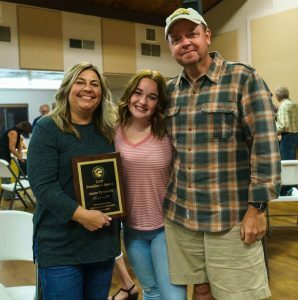 The crew, led by Chris and Bobbie Duncanson, extend themselves frequently to community events and are regularly supportive of nonprofit organizations and student activities and fundraisers. 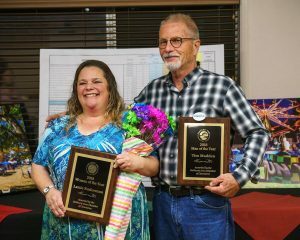 Man and Woman of the Year are recognized for the length, volume, and quality of their service to the community, the chamber and its membership. Tim Madden, creative partner with Above the Fog Marketing, was honored as Man of the Year for his work as a faithful Rotarian and endless efforts as co-founder of nonprofit Be The Power of One. 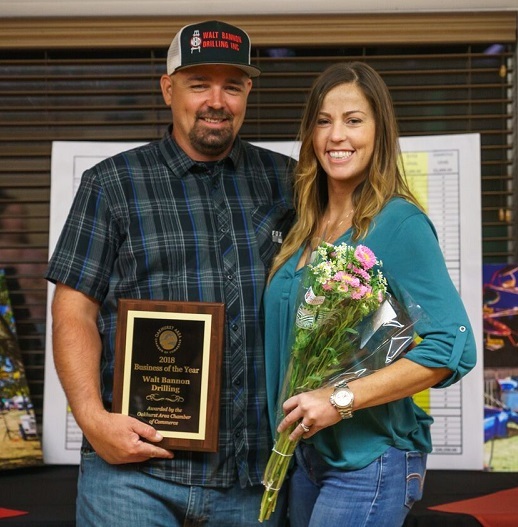 Lanie Suderman, Visit Yosemite Madera County, was honored as Woman of the Year following her tireless volunteering on behalf of nonprofit organizations including the Boys and Girls Club of Oakhurst and as a consistently positive force for Fall Festival and numerous other community events. The President’s Award was re-instated after an absence and presented to Anne Driscoll, owner of Branches Books & Gifts. Moving forward, Barker says the chamber is ever-grateful for the dedication of outgoing board members, including Jessica Steele (Grocery Outlet), Donna Dozier (Trends), Andrew Pence (Nations Lending), and continuing board member Julie Fullmer (Fullmer’s Appliance). Congratulations and best wishes to all of the Oakhurst Area Chamber of Commerce!